We all want skin that looks clear and healthy. But whatever our age, we can all experience a sudden outbreak of pimples or an attack of dry tight skin. That’s why by following a few easy and simple skin care tips, we can help prevent break outs and dry skin on a daily basis and enjoy the look and feel of clear, smooth and radiant skin. Sleep: it’s free and we do it every day. But with our busy lives, it’s increasingly difficult to get enough. Getting our recommended 7-9 hours of sleep a day can significantly improve the appearance of our skin. As well as reducing the dark-circle, zombie-eyed look, sleep helps to balance our body’s hydration, repair and replenish our cells and help keep our immune system healthy. Sleep reduction also increases stress, which can result in more breakouts and worsen existing skin conditions. It’s enough to make you toss and turn at night. But don’t worry. If you have trouble sleeping then banish smartphones from the bedroom, cut down on the caffeine and consider taking up meditation. What’s your skin type? Dry? Oily? Sensitive? Normal? Combined? Knowing the answer to this question can significantly impact our skin care routine – from knowing what kind of makeup to buy to the temperature of our showers. If you have dry skin, long hot showers can exacerbate the problem, whereas if you have oily skin, you may want to avoid oil-based cosmetics. If you have dry, but sensitive skin, you might want to try mild cleansers and moisturizers or apply Vaseline on face areas to get rid of flakiness. It goes without saying that clear skin requires clean skin and having a daily skin routine that involves washing your face in the morning and before you go to bed. However, it’s important that you choose a skin cleanser and toner that’s suitable for your skin type and doesn’t strip your skin of its natural oils. Once you’ve cleansed, for extra soft pampered skin, follow up with a light moisturizer. For example, applying Vaseline on your face and skin before you go to bed can help keep moisture in so you can wake up to radiant skin. It’s a tip that’s common to solving many skin problems – drink water and plenty of it! For radiant, glowing skin, you need moisture, and that comes from drinking water and eating lots of fruit and vegetables. Just avoid too many sugary drinks and caffeine as sugar is known to age your skin and caffeine stands in the way of your beauty sleep. Once you’ve determined what your skin type is, you’ll want to get a moisturizer that suits it. If you have sensitive skin you might want to opt for petroleum jelly. 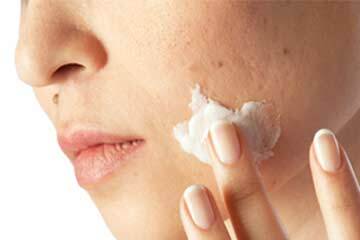 Applying Vaseline on face, lips and skin can deeply moisturize your skin without irritating it. The best time to apply moisturizer is just after you’ve washed your face and it’s still damp — this helps to lock in moisture more effectively and keep your face hydrated all day. Protecting skin from break outs and dry skin requires daily care but the good thing about looking after our skin is that it comes with lots of other benefits too. Reduced stress levels, healthier eating habits, more water intake and products that work for our skin should all be part of our routines so that we feel as good on the inside as we look.